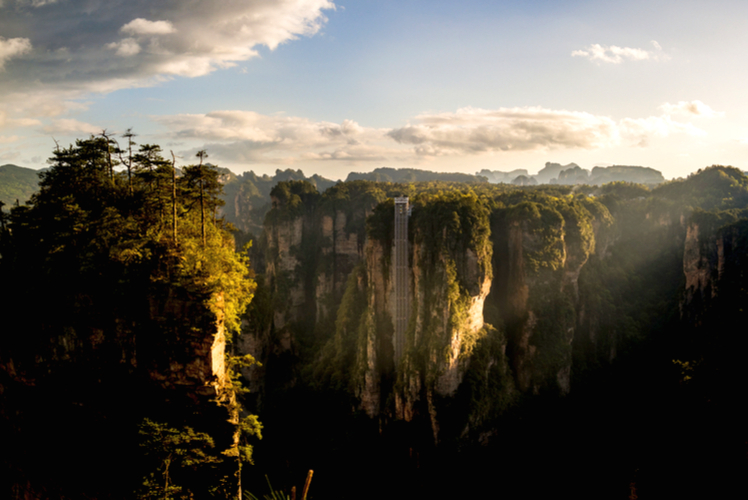 There are many natural and man made wonders around the world that will make your jaw literally drop. Our beautiful planet is home to a large variety of magnificent and breathtaking landscapes that will astound you, and make you feel like you are on a different planet. This is because they are so wondrous and probably unlike anything you have ever seen before. Although a photograph can highlight some of the majestic qualities of a landscape, you need to explore the area in real life to fully understand the magnitude of them. Here we have highlighted some of the most jaw dropping landscapes to trek. If you like to explore and are wondering where to go for your next adventure, consider the most jaw dropping landscapes to trek around the world. You could simply visit one of the landscapes, or if possible combine trekking two or three of them to make a memorable journey. For inspiration, take a look at our guide to different landscapes which we think we appeal highly to your visual senses. The Grand Canyon is one of the seven natural wonders of the world and a beautiful sight to behold. 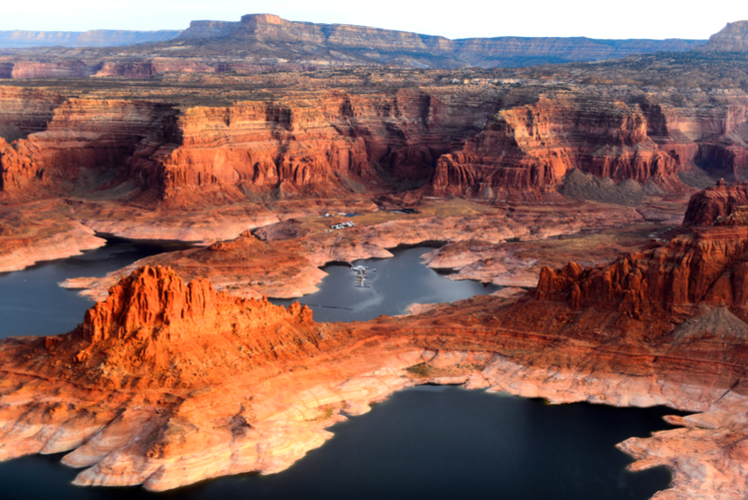 It consists of several layers of reddish colored rock, with the Colorado River running through it. You get an amazing view peering over the edge of it and there are several tours that you can take to witness it in all its glory including hiking and rafting, as well as mule riding, but you will need to book a mule ride one year in advance if you consider that tour option. 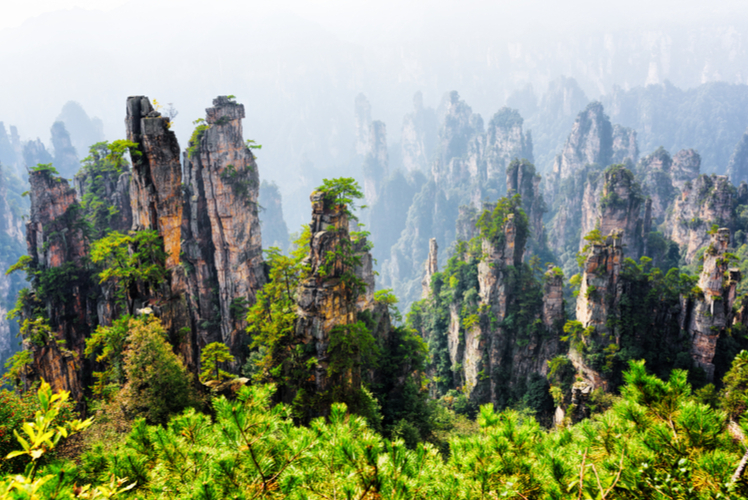 The Tianzi Mountains are a structure of very unusual looking tall, thin mountains, with the main peak 4,142 feet (1,263 metres) above sea level. They were formed 380 milion years ago after pillars of quartz sandstone were eroded by running water. After the long process of stratification, there are now over 2000 sandstone peaks of varying width and height, making it one of the most jaw dropping landscapes to trek. 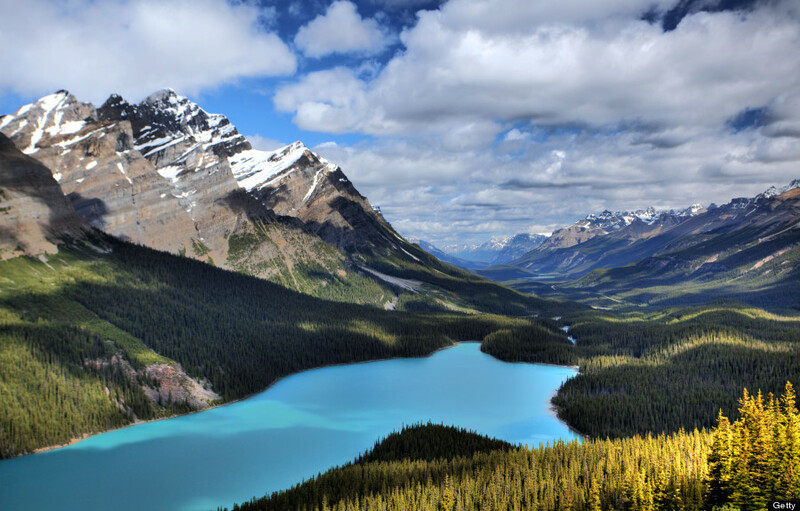 This glacier-fed lake is located in the Canadian Rockies, and fed by Peyto Creek. It is best visited in the summer, when significant amounts of glacial rock flour flow into the lake, as the suspended rock particles give the lake its mesmerizing bright turquoise color. The best viewpoint of the lake is from Bow Summit, which is the highest point on Icefields Parkway. 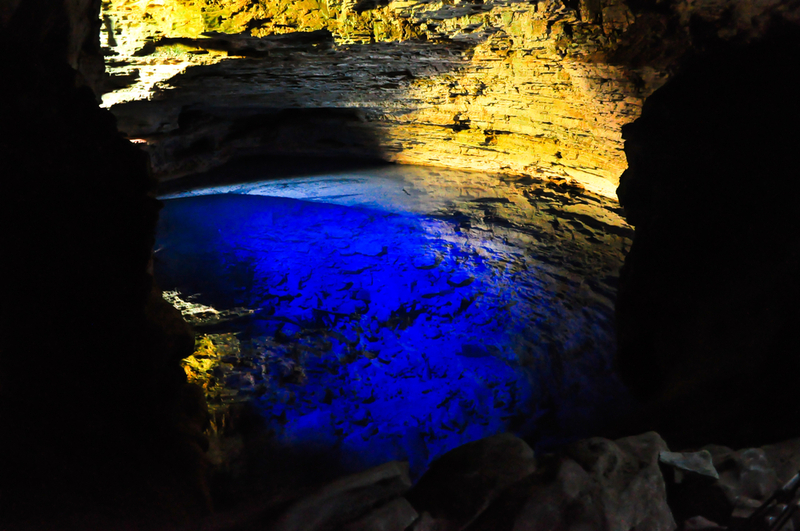 The Enchanted Well is a huge sunken pool of water located in a limestone cave in eastern Brazil. It is around 40 meters deep, and to visit it you need to go down a deep descent of the cave. The stunning blue water is transparent in the pool so you can clearly see the foundation of mountains, ancient trees and rocks lining the bottom of the lake. 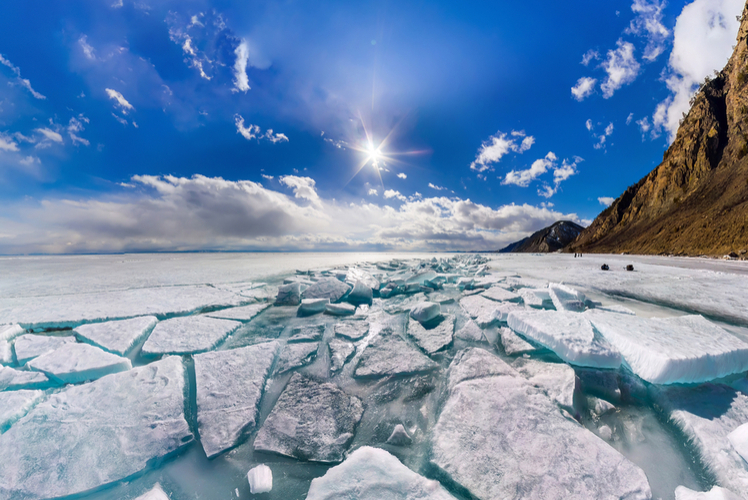 Lake Baikalis is the oldest and largest freshwater lake on the planet. It is over 25 million years old, and is home to over two thousand varieties of flora and fauna. The lake holds 20% of the world's fresh water, and is known as one of the clearest lakes in the world.During the winter the lake freezes and an amazing occurrence takes place. The sun creates cracks on the surface of the frozen lake and large shards of transparent ice form on the surface of the like, which gives the spectacular appearance of turquoise ice. The majestic Iguazu Falls are submerged in the tropical forest near the three-way border between Brazil, Argentina and Paraguay. There are 275 waterfalls, making it the largest waterfalls system in the world, and they are also wider than Victoria Falls and taller than Niagara. 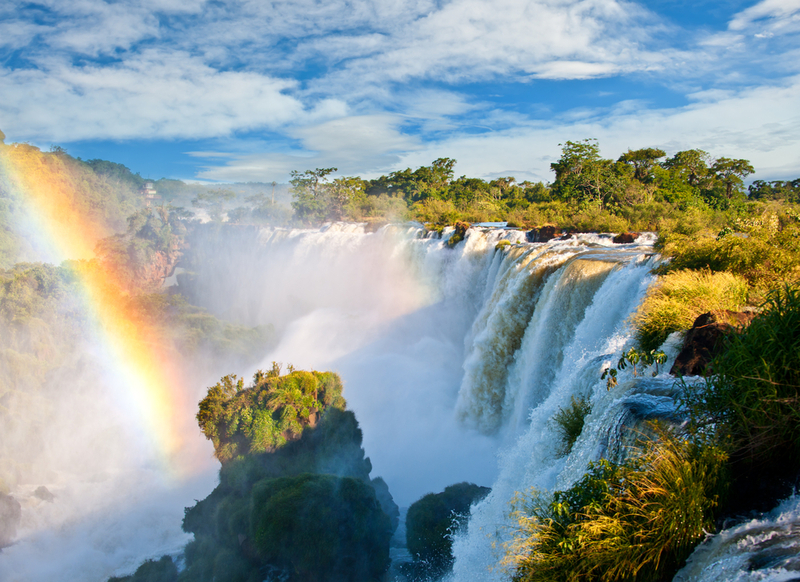 Iguazu Falls has previously been described as an overwhelming experience that is hard to put into words, which is why it is one of the most jaw dropping landscapes to trek. 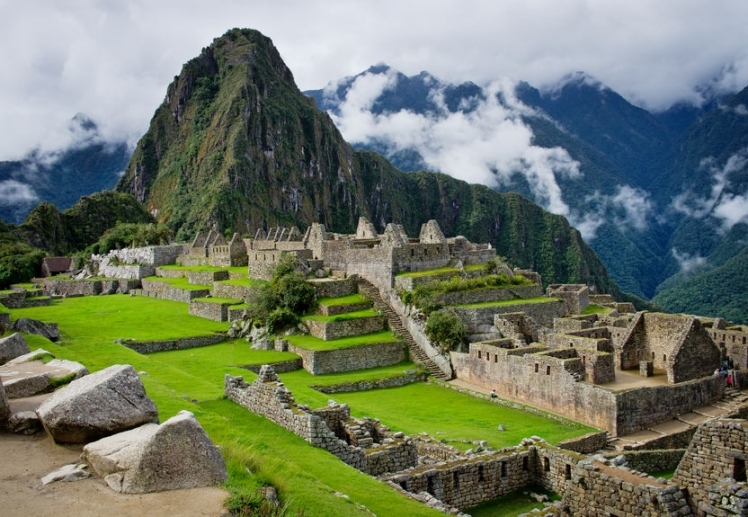 Machu Picchu is a Peru's most famous Inca citadel, and a wonderful landscape to trek. The ruins are the size of a village and they encompass palaces, temples and homes of the Inca Empire. The enchanting landscape of Machu Picchu covers more than 116 square miles and is adjoined to a forest and wilderness park as well as a historical sanctuary. 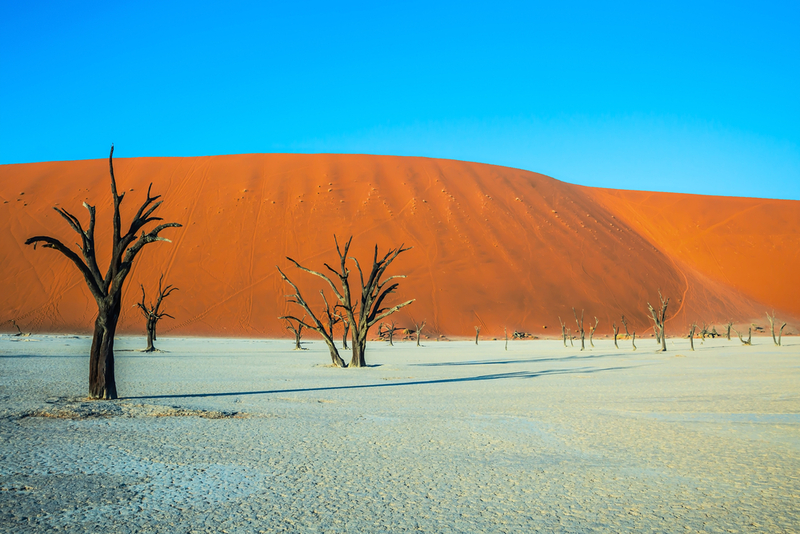 Deadvlei translates to English as dead marsh, and is a white clay pan near Sossusvlei. The area used to be home to an abundance of camel thorn trees, but when the climate changed, it was hit with a drought and the sand dunes covered the area and blocked the river. The trees died, but the skeletons of them still remain, leaving a jaw-dropping landscape of parched ground, tree carcasses, and the world's highest sand dunes, with the tallest reaching 300 - 400 meters. 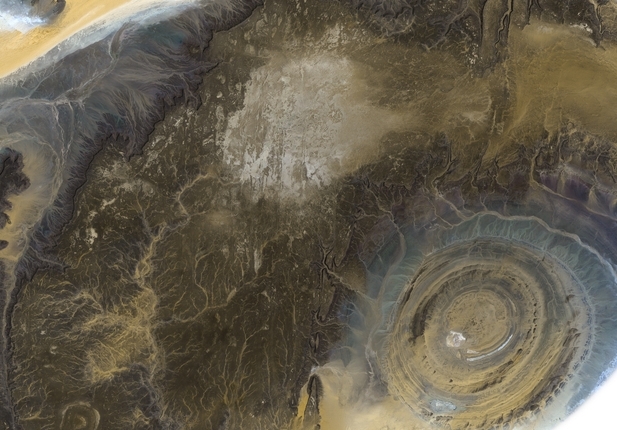 The Eye of the Sahara, also known as the Richat Structure, is a prominent deeply eroded corn circle-style formation in the Sahara near Ouadane, west–central Mauritania. The diameter of this landmark is 40 kilometers (25 miles), and when it was first discovered it was interpreted as an asteroid impact structure. Geologists now suggest it is a highly symmetrical and deeply eroded geological dome, but there is still no official confirmation of what caused it. Unfortunately these hills aren't made of real chocolate, otherwise there probably wouldn't be any left. However they are still one of the most jaw dropping landscapes to trek. 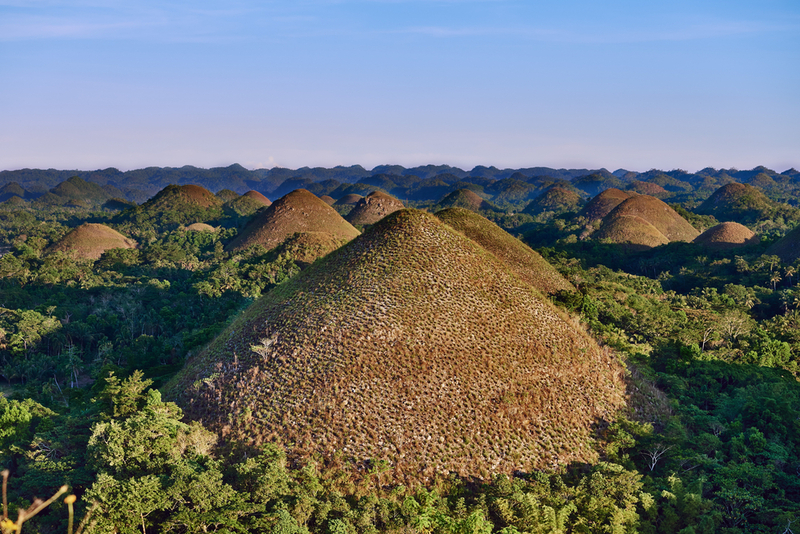 Bohol Island in the Philippines is the location of this geological phenomena, which features at least 1,260 Chocolate Hills spread over 30 square miles. The mounds are mostly conical and perfectly symmetrical in shape and they are usually covered in green grass. During the dry season the grass turns a chocolate brown, and that's how they were given the name Chocolate Hills.